I wasn’t really looking forward to playing The Banner Saga 3. Not because I didn’t think this turn-based tactical RPG would be wonderful, but because we’ve come a long way from the days when it was mainly about humans and tree-sized Vikings fighting metal dudes from the hills. Back in 2014, we were squarely in the realm of Nordic-themed fantasy. 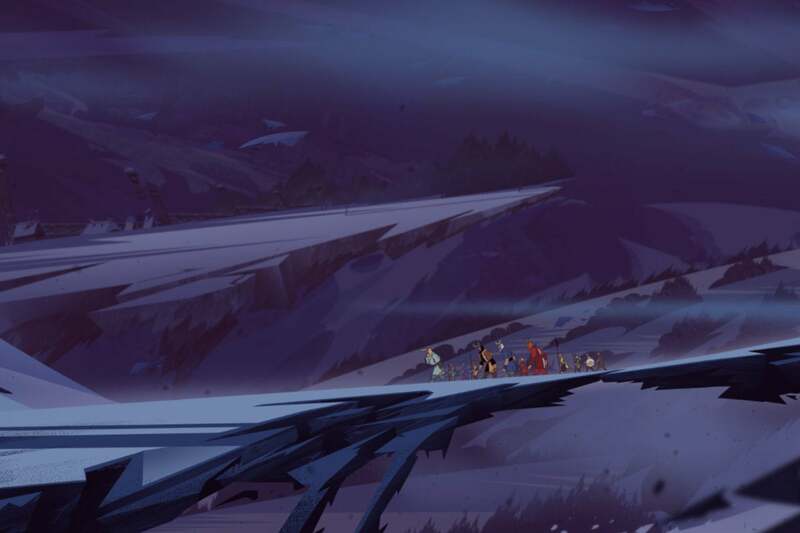 So much shifted toward the end of The Banner Saga 2. Stoic Studios’ game was never a cheery one, to be sure; in fact, Game of Thrones occasionally feels like a comedy in comparison. It’s a world where the gods are dead; where the sun sits motionless in the sky. And now there’s a single human city left. A gigantic purple nothingness chomps up the Nordic landscape’s fjords and fields, and the formerly familiar and comfortable gets twisted into the stuff of nightmares. Through it all, the world’s people waste time in bitter, selfish squabbles while the world itself dies around them. I don’t know about you, but I like for my fantasy games to serve as escapes from reality. And you thought your summer was rough. "You’re exhausted," The Banner Saga 3 tells me mere seconds in, and it’s not wrong. If you can’t find hope in the game, find hope in the game’s creation. 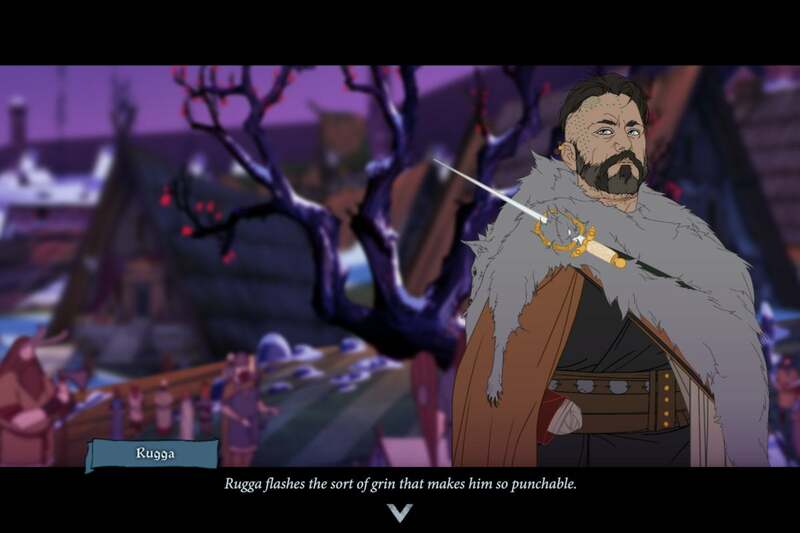 The Banner Saga has been passionately crowdfunded ever since its 2012 Kickstarter announcement, and while the core gameplay has barely changed from its strangely satisfying mix of Oregon Trail-style sidescroll travel to chessboard battles emphasizing smart positioning, it continues to triumph on the strength of its writing. Remarkably, it manages to maintain this narrative quality even while offering a massive pile of choices in almost every interaction that sometimes kill off key characters with seeming glee. There’s the big choice of whether you play as the archer Rook or his daughter Alette (and to reveal why you have that choice ventures into spoilers), but now you have to deal with choices like choosing whether to shoo away a band of immensely powerful centaurs because it turns out they weren’t so friendly as they look. As with almost ever decision in The Banner Saga 3, this could have dire consequences. Meaningful consequences. These choices massively affect the ending, particularly those dealing with the sorcerers Eyvind and Juno as they venture into the heart of the earth. We’ve seen this kind of thing in games before, of course, but usually it takes a resource-fat studio like BioWare to pull it off. Here, though, is little ol’ Stoic Studio. It’s more worthy than its size suggests (although the fact that multiple team members have BioWare pedigrees no doubt helps). In rare form for a game studio these days, it’s achieved remarkable success even within the Appleverse across the Mac, iPhone, and iPad. 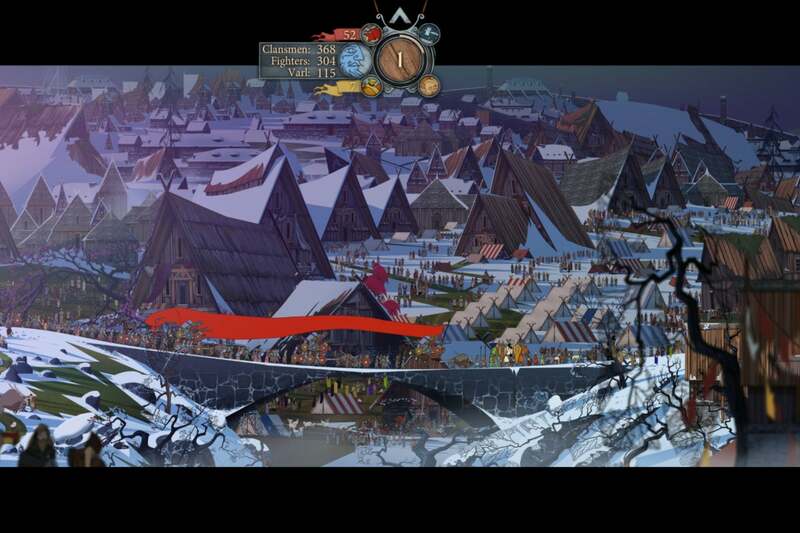 And so The Banner Saga’s tale of a relatively small band trying to achieve the impossible comes off as inspiring. And, yes, it always feels impossible, and now that impossibility fuels urgency at every turn. The previous games sometimes wandered a little too freely; this one rushes toward its goal and is the better for it. The world, after all, is ending. There’s no time for chitchat. 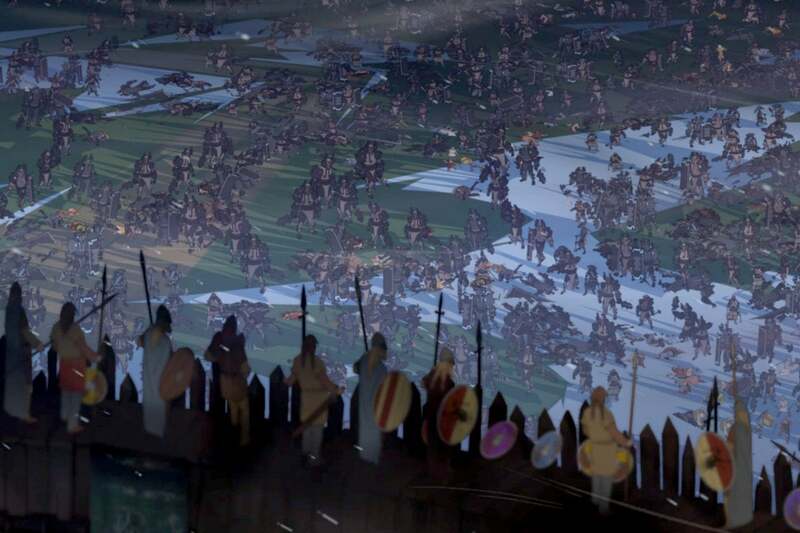 The Banner Saga 3 slams this home by tossing you straight in the middle of a conversation taking place mere moments after the end of the last game. You can start the saga straight from this game with a full cast of characters if you want, but you’ll have no idea who all these people are if you do. It’s daunting, and frankly, you’ll be better off if you start from the beginning. But rest assured, he's quite punchable. Perhaps because Stoic felt like we could use a break from all this, perhaps because it fits the theme of desperation, the turn-based combat doesn’t feel so punishing this time around. I can’t say I’m disappointed, as combat was always my least favorite aspect of Stoic’s saga (although it’s held up well over four years). There’s a good chance your heroes are close to being maxed out at this point, and so their abilities get used to their full effect. That’s not to say it’s exactly easy, but now the heroes can even unlock heroic titles at Level 10 that grant massive boosts depending on how close or far you are from allies on the battlefield. And so Stoic tossed in some new elements to add to the urgency, whether it’s a timer that ticks down to a key event in the story or the option to fight chiefly new waves of optional enemies. If you want, you can battle through multiple waves for to chance at better loot. This is about what waves feel like. I can’t say I did more than a handful. Battles here drop as often as raindrops in a spring shower, to the point that they essentially sideline the Oregon Trail-style metagame that was always one of the series’ highlights. But that’s all right. Especially with one branch of the storyline, you’re not so much on the run here; you’re digging in your heels and fighting. On so many levels, this is the endgame. 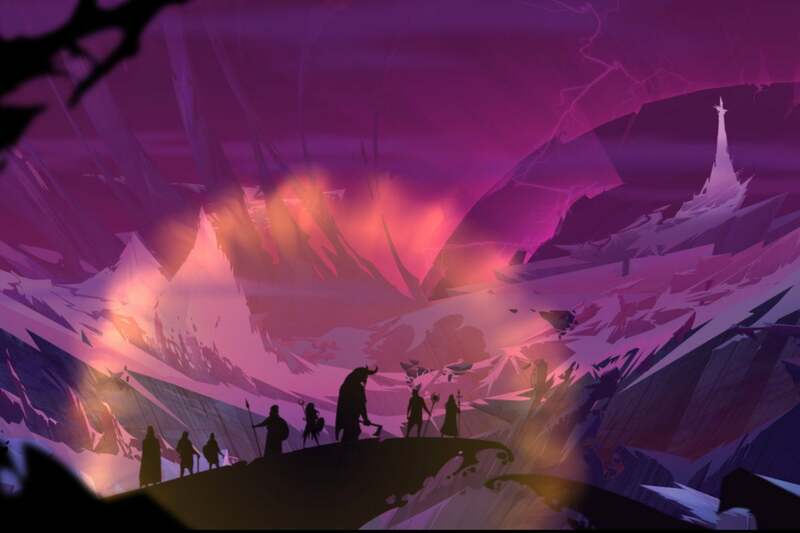 That means the chances to look around you are also not as common, and that’s occasionally a shame, as you can’t talk about The Banner Saga without mentioning its beauty. It’s one of the best reasons to play it, both for the Eyvind Earle (Disney’s Sleeping Beauty)-inspired character designs and for the Icelandic-inspired score of star composer Austin Wintory, who’s in top form here. The hand-painted landscapes? Breathtaking. That’s always been the case, particularly when The Banner Saga started as a lush world carpeted with green, rolling hills and a skyscraper-sized runestones with figures judging passersby with stony eyes. Now, though, that beauty falls under the cancerous purple mass that warps being caught within it into monstrosities . It’s now apparent that its beauty always had a function beyond serving as spectacular desktop wallpapers and Twitter banners; it imparts of sense of what we’re losing. 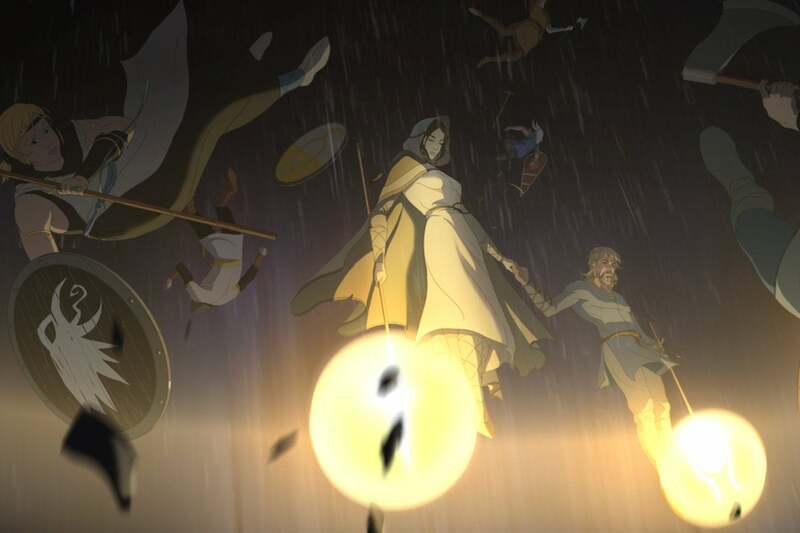 With The Banner Saga 3, taken with its two previous entries, we’ve gained a masterpiece. The great strength of the Viking sagas—even the wild ones like The Saga of the Volsungs—was not so much in their feats of derring do but in their pervasive ordinariness. The heroes seemed like real people (and often were), and that’s the case here. The wide cast of characters—a necessity of the ever-present chance that one will get killed off—means that some of them don’t get the screen time they probably should, but I rarely disbelieved their motivations, however detestable. And it’s a story for our times. 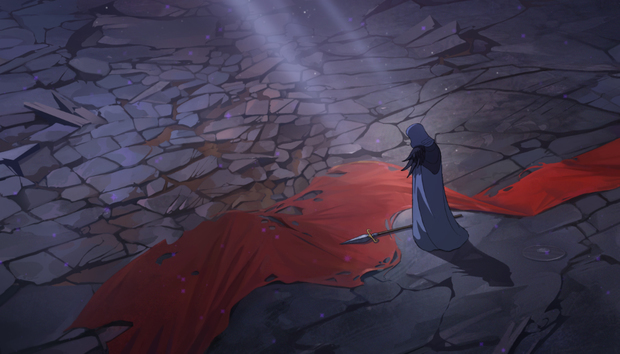 The Banner Saga reminds us that some horrible things have progressed too far to curtain completely, and that human nature often harms us as much as any outside force. These are harsh lessons, but they remind me of the lessons imparted by The Banner Saga’s titular banners, stitched together as they are from the smaller banners of bands of people who join their strength to another. There's gotta be some serious wind in this world, though. Some of these are unblemished. Some are torn and bloody. But like the three episodes of this unforgettable trilogy, they come together to form something beautiful.